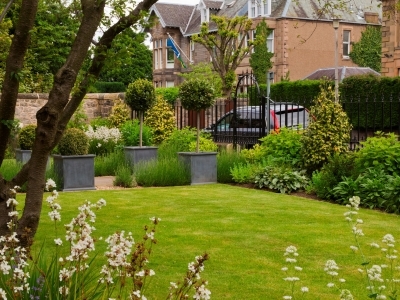 This family garden needed to provide space for energetic children and yet be sophisticated and formal at the same time. 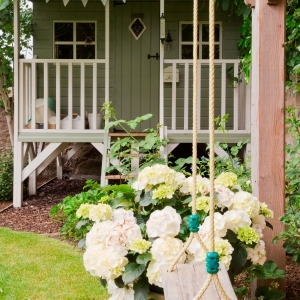 A bespoke pergola was built using oak to grow climbing roses and a delightful children’s playhouse is hidden under the canopy of a neighbouring horse chestnut tree. 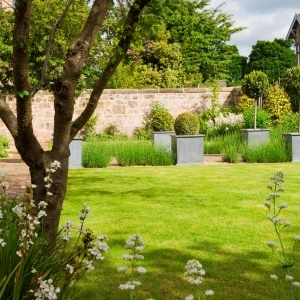 A sunken trampoline was also included in a discreet corner. 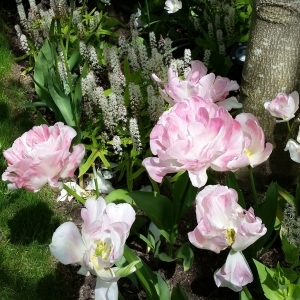 The planting palette was restricted to whites with a smattering of cool blues, light pinks and pale yellow as a foil. 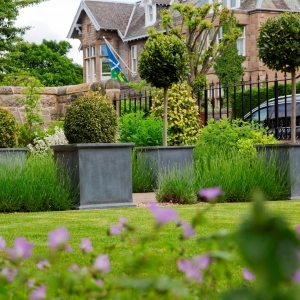 The front garden is very structured and formal; here generous lead planters with standard bay trees and clipped box detail the lavender path to the front door. 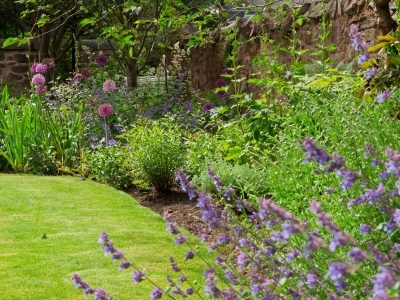 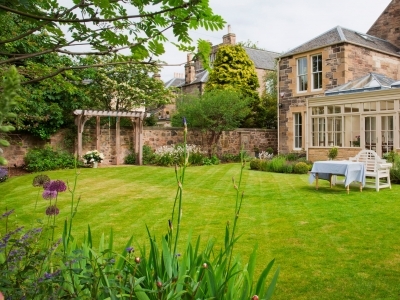 Landscape gardening in Scotland can benefit the whole family, as it has here.